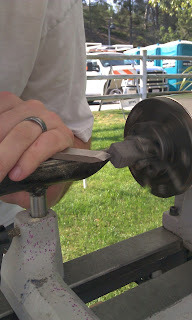 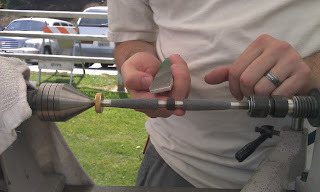 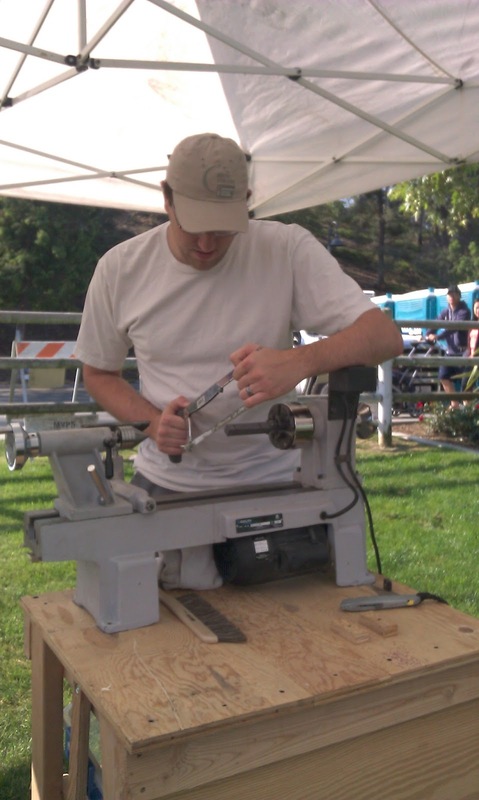 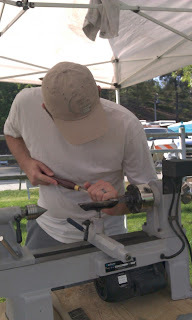 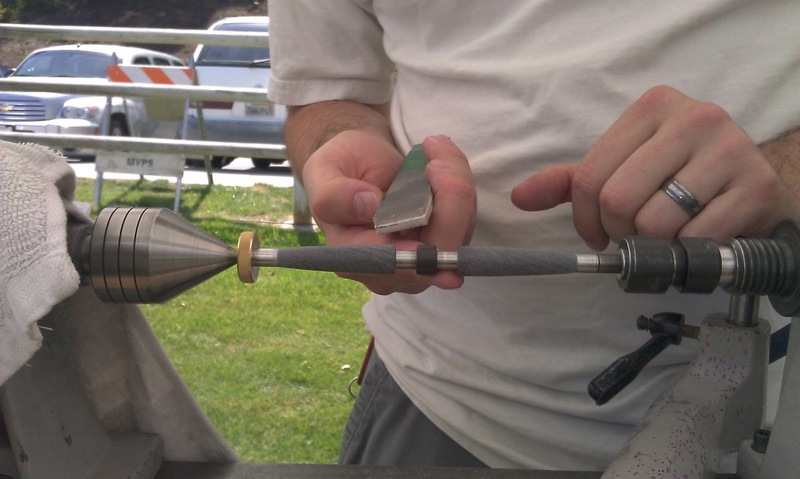 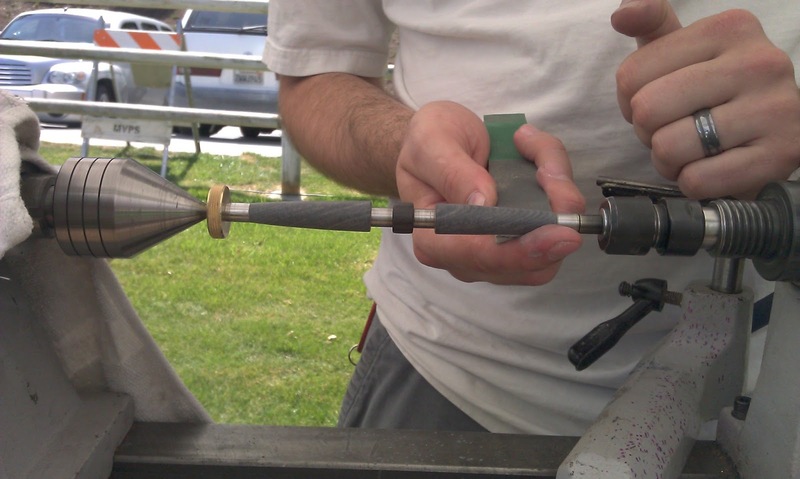 Back in May, Bassett Handcrafts spent the entire weekend down in Mission Viejo at their annual Art's Alive festival to do LIVE wood-turning demos and showcase some of our inventory. 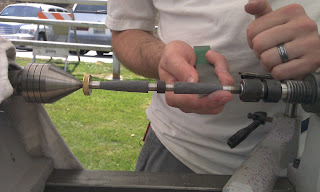 While we were there, we decided to document the step by step process for making a slimline twist pen. 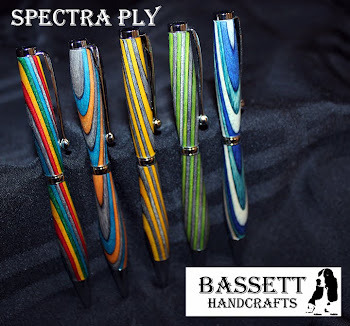 After you have selected your pen blank and have your tools and pen kit available, the first thing you need to do is take one of the brass tubes from your pen kit and mark how long it is on your pen blank. 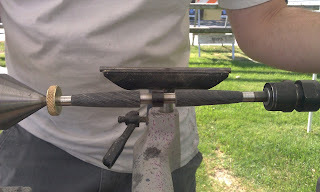 A sharpie will do because any marks you make will eventually be sanded away so don't worry here. 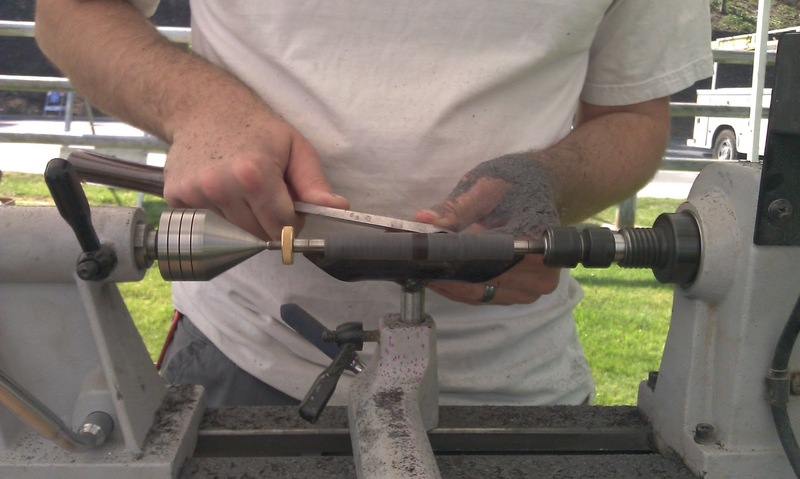 Then, remove the brass tube and place it right on the mark you just made and measure the length out again and place another mark on the wood. This will give you the correct size for both the top and bottom half of your pen. Since both tubes are the same size, you can just use the one to mark the wood. 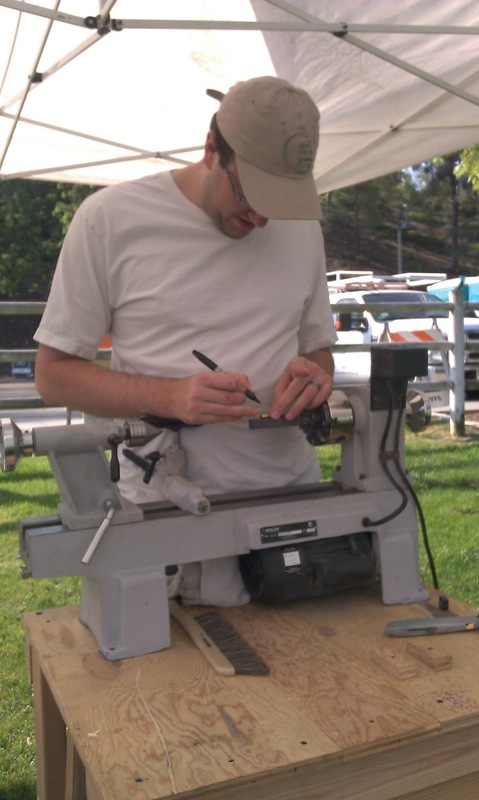 Whether you use a band saw, a hand saw, or some other power tool, you need to remove the excess tip from the markings you just made. If your careful, you can have the lathe run on a low speed setting and carefully press down with a handsaw and let the lathe do the cutting for you... but this is not something someone inexperienced should do. 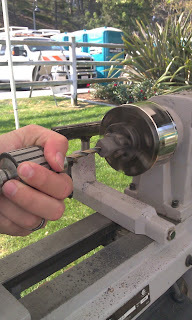 This gets a bit tricky if you need to drill on a lathe and don't have a separate tool for drilling pen blanks. You need to make sure you drill straight, otherwise when you turn the blank later, the wood will chip and blow out on you. 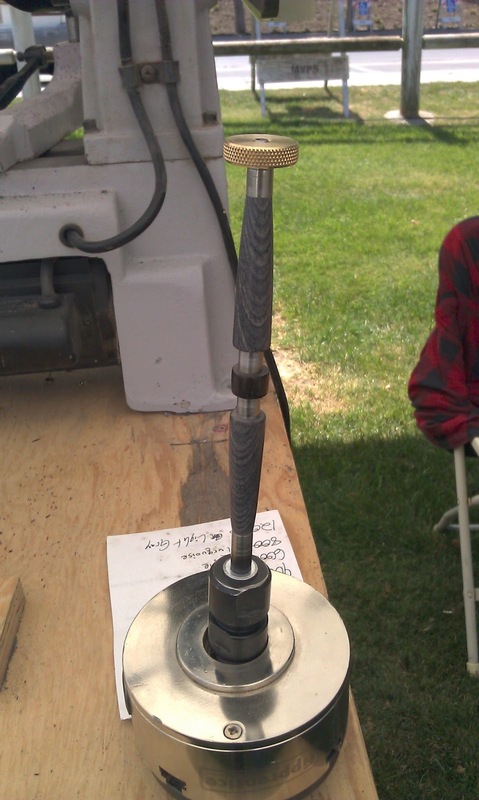 The easiest way to get started is to start making a small divot in the blank, as pictured below. 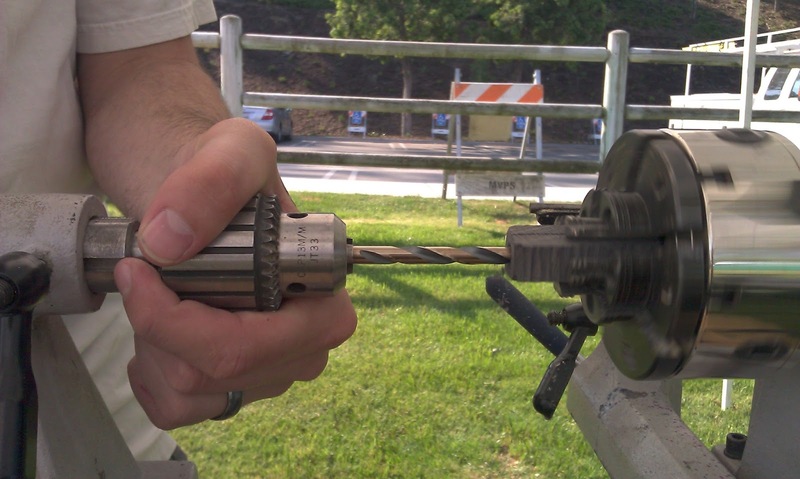 Once you have your starter hole, select the proper sized drill bit for your tube diameter. 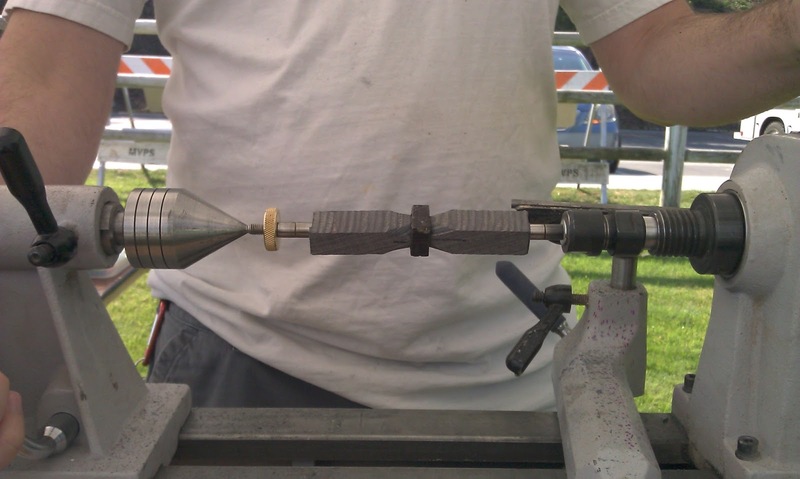 If your brass tubes are 7 mm, use a 7 mm drill bit. If the tubes are 8 mm, use a 8 mm drill bit. After you have drilled your blank all the way through, you will need to cut the wood along the first marker you placed in step one to split the wood in two equal sized pieces. Now the fun, take those tools and turn and shape your pen! 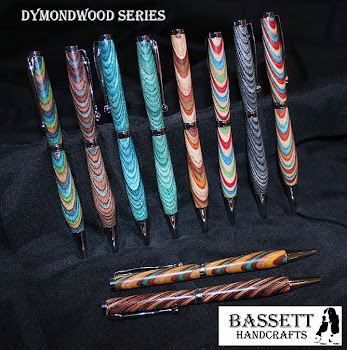 Once you get the shape and feel for your pen, then take either sand paper, or sanding sticks and polish and smooth the finished wood.